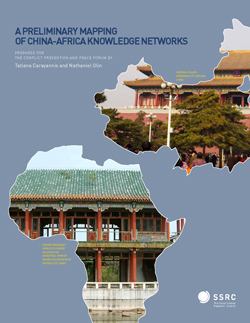 The China-Africa Knowledge Project at the Social Science Research Council is a multiyear program of activities designed to complement current SSRC programs on Africa and Asia. The project’s three streams of work aim to deepen understanding of China’s new engagement with Africa and situate emergent scholarship on China and Africa within broader scholarly and policy discourses about ongoing global transformations. It accomplishes this through various institutional collaborations and by developing a series of web-based resources and activities across all three streams of work. The project is funded by a grant from the Henry Luce Foundation and by existing SSRC program funding. The Working Group on China-Africa is an international and interdisciplinary group of leading scholars tasked with guiding a planning process to help facilitate new research collaborations and build cross-regional research capacity relevant for understanding Africa’s engagement with China and other emerging powers. The initial focus on China-Africa serves as a model to explore new narratives and relationships in a changing global order. The SSRC provides direct support to strengthen and expand the Chinese in Africa / Africans in China (CA/AC) Research Network. This collaboration aims to expand the CA/AC Network’s listserv and broader activities to widen the reach of emerging cross-regional communities of research and practice that include Chinese, African, and Western researchers and research institutions, media professionals, NGOs, and policymakers. The China, Africa, and the UN stream of work explores the evolution of China's engagement with multilateral cooperation and the United Nations, strengthens UN studies in China, and builds platforms for Chinese, African, and Western scholars and practitioners to share policy and research ideas and experiences. 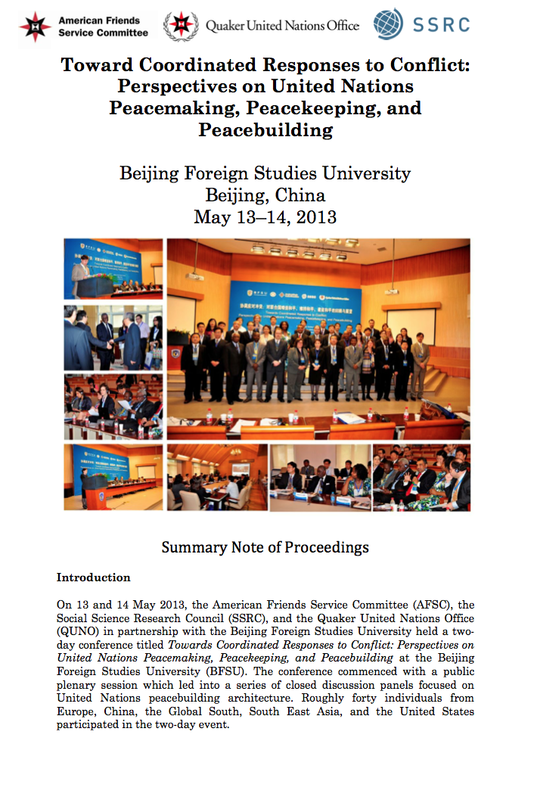 This work has included collaborations with the American Friends Service Committee, the Quaker UN Office, Beijing Foreign Studies University, and others. The SSRC’s China-Africa Knowledge Project has transferred its Resource Hub, the world’s largest resource on China-Africa engagement for researchers and practitioners, to Michigan State University.